We have been talking sulfate free shampoos for the past few weeks and finally here is the list that you requested. I have ranked the shampoos that you gave me in order of how harsh they might be. Please do remember that the best way to measure how irritating a shampoo is or how dry it may make your hair feel is to use it. This list is not intended to make you throw out your current shampoo if it has been working for you. This list is purely an assessment on ingredients, not on actual use which is really the ultimate test. Thanks so much for this list, JC! You are awesome:). I was wondering if we are sure that the Shea Moisture Retention Shampoo and the Curl & Shine Shampoos are soap based? I know for sure the African Black Soap one is, but if I'm not mistaken the other two are decyl glucoside based (a surfactant? ), and the Curl & Shine also has Sodium Lactylate something or another. I'm interested to hear your thoughts. Thanks again for all your research! You are correct and no I am not sure whether both of those are soaps or not (Curl control and Retention Poo). The same also goes for Burts Bees which also contains decyl glucoside. Decyl glucoside is a non ionic surfactant (so in essence should have little to no irritation) but it is also soap like because it has pH of around 11 which changes its irritation level. Normally citric acid is added to fix the pH issue but other times it is left fairly alkaline because the surfactant can work just as well. Since I do not know the pH values of these products I thought it would be better to err on the side of caution and place them as soap like. I looked at the Shea moisture retention shampoo and they listed aloe juice. I'm not sure but I believe this would lower the pH. Thank you! I'm so sorry I took so long to check back here. I'm very glad that you have provided this resource! I want to add that decyl glucoside is stated on tightlycurly.com to be very gentle so much that it does not really remove products. This is not good for me since build up is a real issue with my hair but on the flip side harsher shampoos are also too drying. What I am doing right now is clarifying bimonthly or monthly with neutrogena anti-residue (recommended by ktani hair sense blog...we chatted via email), washing once a week or week and a half with giovanni 50:50 diluted, then using Curls cleansing cream the rest of the way. I use mineral only per advice from Ktani, which washes out very easily even jusr with the curls cream cleanser. There us build up from the cleanser though so that is where shampooing less frequently comes in handy. Could you please talk about Polyquaternium (especially 10 and 80) in a post whether they are water soluble or not also if they build up easily on hair ? Thanks for this series! While I find most non-sulfate cleansers less effective, nothing irritated my scalp like that Cream of Nature Argan oil cleanser. Would the more gentle shampoos/muds require more mechanical scrubbing to clean the hair/scalp? Thanks for contributing on the Creme of Nature, it is always good to see a real review. I do not recommend scrubbing the hair or scalp. The more delicate you are, the more you preserve it. If you find that the gentler shampoos do not clean your hair as well then my recommendation is to switch to something in the medium category. I have relaxed tresses and have been reading your blog for a long time. I appreciate your work and this blog. I wanted to comment because I am an 'outlier'. The only shampoo on that list I have used is CON Argan Oil and I was very disappointed. It left my hair feeling stripped. I have also recently tried Lush's Honey I Washed the Kids Soap. It was not the best poo, but certainly better than CON AO and others I have used, namely Organix Moroccan Oil shampoo now that I think of it. And please forgive any typos! Thanks too for your CON review. I also posted the ingredients so that anyone curious would not have to leave the site. Can you tell me if sulfate free surfactants actually means sulfste free? I tried Organix argan oil snd shea butter shampoo....it seemed to dry my hair.thanks for your help. Oddly soaps and black soap make my skin feel very dry but like some I find them to be gentle on my hair. Great post ! Maybe will increase the use of rhassoul clay from once to twice a month what do you think ? It may appears silly but each time you answer me I'm like "ow she's so nice and sweet to me" (weird I know ^-^). I don't know why but I'm afraid of it loosens my hair pattern like henna can do for some people. Well I'll stick with what works for the moment.. If one day you have the time or interest in doing a post concerning clays on hair (blue, white, pink, green, red...) I will be so happy, I'm still searching infos on the net but I'd like to see if there have been science studies about their effects, uses etc on hair. Merci for the time you take to post and to answer us. Great info that I'll putting to use immediately. Thanks! You listed most of the L'Oreal "Ever-" line, but I personally found L'Oreal EverCreme to be the most gentle of them. Would you mind finding out which category that one would fall under? Done - It is in the gentle category, it is actually more conditioner like than shampoo like. Great post! I recently discovered the mildness of Bentonite clay and don't think I'll use anything else. It's leaves my hair relatively soft, fluffy and easier to detangle. So after many failed attempts of various shampoos I've realized my hair needs the mildest cleansers possible. Tresemme Naturals is not a sulfate free shampoo. It contains ALS (ammonium lauryl sulfate) and ALES. It would be in the same group as a shampoo with SLS (likely to be harsh). Hi..im relatively new to exploring healthy products and have been using shea moisture for my daughter. She has very dry hair to begin with (although im noticing some improvement since ive been moisturizing it) so should I try a less harsh shampoo if the hair is already dry? Aqua (Water, Sodium Lauroyl Methyl Isethionate, Cocamidopropyl Betaine, Sodium Methyl Cocoyl Taurate, Polyquaternium-7, Camellia Sinensis Leaf Extract, Citrus Nobilis (Mandarin Orange) Fruit Extract, MAcrocystis Pyrifera Extract(1), Royal Jelly Extract, Disodium EDTA, Glycerin, Glycol Distearate, Polyquaternium-10, Phenoxyethanol, Potassium Sorbate, Sodium Benzoate, Benzyl Benzoate, Hexyl Cinnamal, Linalool, Fragrance (Parfum). I also want to know the ph of this shampoo. Have you tried a sulfate shampoo called Pro Naturals Moroccan argan oil shampoo? I use it and it's just brilliant, seriously, I haven't even had frizzy hair since I started. I think it's because of the argan oil, I read that was like the holy grail for hair. It would be nice to see a review on it! This post is amazing! How would you classified SHIKAKAI powder and SOAPNUTs? What about Aubrey organics island naturals or the Honeysuckle shampoo? What's your opinion of the following? Ingredients: Aqua, Cocamidopropyl Betaine, Sodium Lauroamphoacetate, Sodium Lauroyl Sarcosinate, Cocamide DEA, Sodium Cocoyl Glutamate, Polyquaternium-10, Cocamide MEA, Methyl Gluceth-20, Hydrolyzed Wheat Protein, Hydrolyzed Wheat Starch, VP/DMAPA Acrylates Copolymer, PEG-12 Dimethicone, Parfum, Phenoxyethanol, Dehydroacetic Acid, Benzoic Acid, Hexyl cinnamal, Lyral, Citronellol, Linalool, Benzyl Salicylate, Alpha-Isomethyl lonone, Limonene. Kevin Murphy Angel Wash (and the accompanying conditioner) are the best shampoo & conditioner I've ever used. Gentle, lovely for waves, non-drying, natural ingredients. My daughter is a hair stylist and sge recommended it to me. Also, the scent is mild. I'm highly sensitive with scents and my scalp. Use very little every few days. Hi can you please place Alba Hawaiian shampoo and conditioner to this list? Thank you! Love the blogs!!! I believe through misinformation about product content and a bad stylist my hair is over proteinized. My hair is dry and in some spots has raised cuticle. I have tried many sulfate free, PH balanced, silicone free, paraben free natural shampoos and conditioners most of which were supposed to be protein free but had hidden proteins or ingredients that act or promote protein in the hair. NOTHING has worked. Can you please suggest a remedy. I have wavy, fine, color treated hair. What about Acure Oragnics shampoos? I've been reading your blog for the last couple of hours. I love it! I was wondering about both the Proclaim brand from Sally's Beauty Supply and the Organix Ginger & Awapuhi shampoos/conditioners. They are supposed to be sulfate free. Was just wondering where they might lay in the chart. Hi! 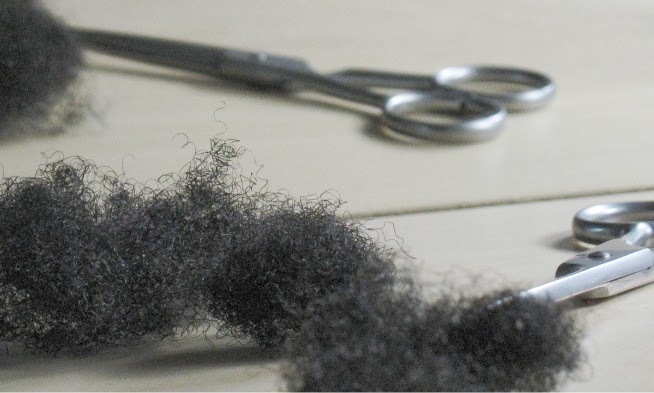 I recently stumbled across your blog & I have always thought it important to have a more scientific understanding of hair in relation to care especially with so much misinformation out there. I was wondering in the list above if the Shea Moisture Coconut & Hibiscus is soap based? I don't have to much trouble with this shampoo because I do use a lot of product & oil on my hair so it probably helps remove buildup. However I was thinking about making my own homemade shampoo from natural products, & I wondered how shea moisture (since they're organic) preserve the products & get the suds. I really would prefer to mix things in larger batches since I'm always on the go & it'd be a hassle to mix product every time I needed to wash, but there is no credible information anywhere as far as long term preservation naturally from what I've seen. What a great chart! Thanks for sharing this valuable information. I'll be sure to pass this along. After reviewing some of the discussion, I think it's so critical for us to make it a habit to carefully read product labels and ingredients off of certain shampoo products. Just that very step can prevent us from allowing toxic ingredients like sodium lauryl sulfate, synthetic fragrances, and other chemicals to enter into our hair and skin. In other hand, I'm kind of sad because today I've just got the EverPure Sulphate free shampoo. I was washing my hair and I noticed that it lathers quite a lot for an SLS free shampoo and I felt my hair a bit dry after washing. If I knew this, I would get the EverCreme Intense Nourishing instead. I had The Body Shop's Rainforest moisture shampoo and I couldn't hate a shampoo as much as this one... Even though I insisted on using it for almost 2 months, it made my hair super dry and all tangled up. I end up throwing away the rest of the bottle because my hair definitely hated it. What about Marulagold intelligent shampoo?